The flexible teaching tool for creative teachers! The Combination Cork Dry Erase Board is one of our longest product names and for good reason. 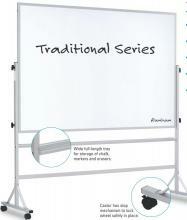 This mobile, reversible board provides teachers with numerous ways to teach their students. On one side of this board, the Pro Rite markerboard allows teachers to calculate math problems, explore science topics, and list important historical dates. The highly durable porcelain steel surface protects against the dents and scratches caused by moving the board around the classroom. The other side of the Combination Cork Dry Erase Board is all-natural, bounce back cork that withstands years of tack impressions. 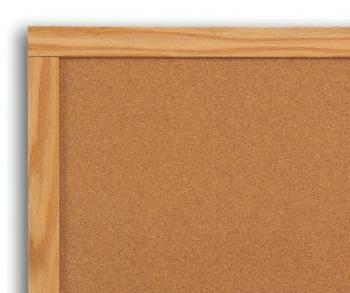 Teachers can post class announcement or important school policies on the same board that allows them to teach curriculum. Each of the wheel castors possess stop mechanisms that safely lock the wheels in place. 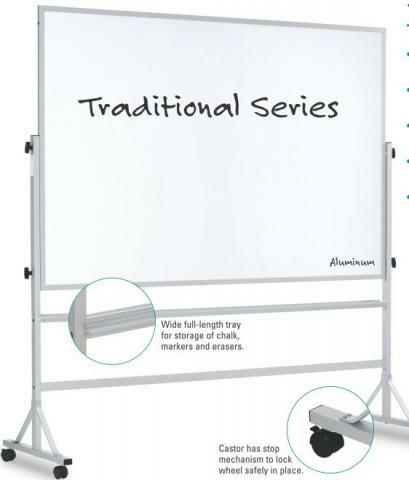 The three by four foot dual purpose board provides teacher with plenty of room to present lessons.